If you get the above error, you are using the wrong tax code. This could either be in Xero, or Workshop Software. 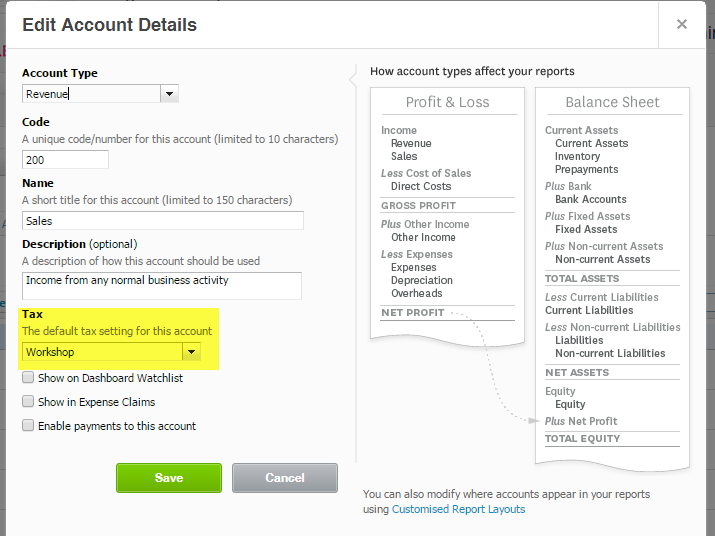 In the case of the screenshot above, it is an account in Xero (account "200") that needs to be fixed. 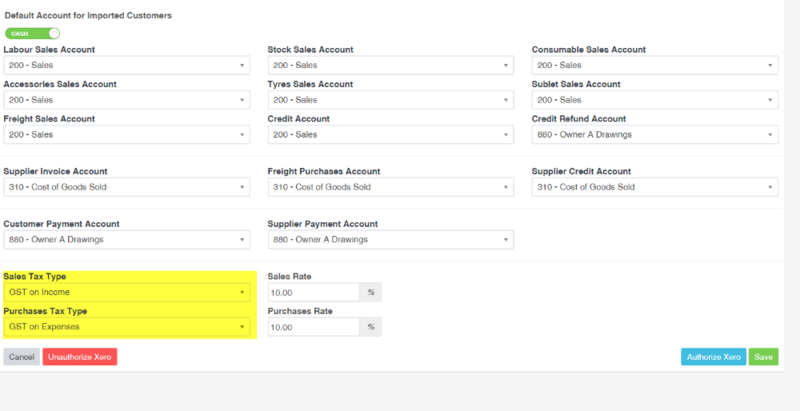 We advise to use this only in situations where the error mentions the words INPUT (Sales) or OUTPUT (Purchases). Any other situation, use the Xero change option. The tax type needs to be the same as the ones set up in Workshop Software. In the case of the example, account 200 should be set up as "GST on Income", as per the above screenshot.